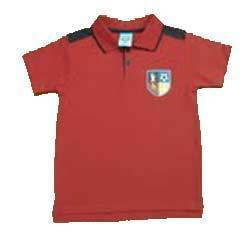 Boys Pique Polo T-Shirts offered by us are made using premium quality fabric and advanced machines. We offer these t-shirts in various sizes, colors, patterns and designs to our valuable customers, who are located across the country. These t-shirts are perfect blend of fashion as well as quality. We deliver these t-shirts in proper packaging so as to protect the range from tearing during transportation.